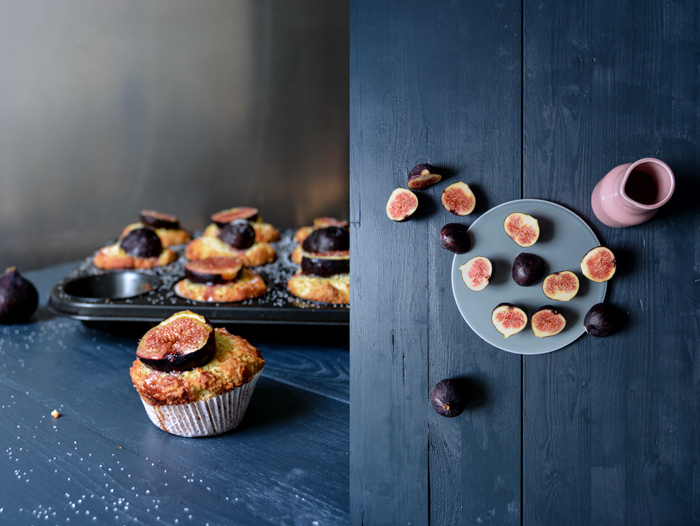 I’ve been dreaming of these muffins since I went to Malta almost 2 months ago. 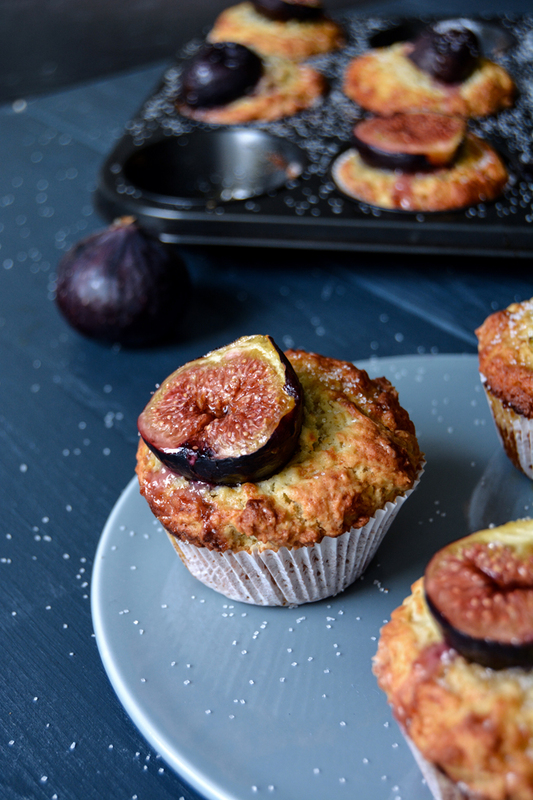 The idea of figs, soft, ripe and sweet as honey, crowning the top of a pale muffin got stuck in my head. Still in the Mediterranean, I must have bugged almost every farmer on the island (just a slight exaggeration) to find the fruits for my creation, but nature had other plans. It simply wasn’t their season yet, I was too early. Luckily we’re off to our island next week for a few days, so we can catch up on them and pick them straight from the trees. At least this was my plan until the beautiful blog Design*Sponge asked me for a recipe for their In The Kitchen With series. 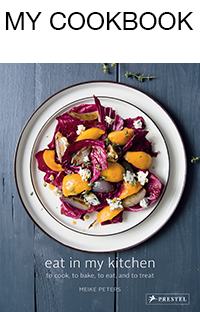 While I was still chatting with lovely Kristina to get an idea of what they’d like me to come up with, I had a vision – a luscious baguette sandwich inspired by a picnic in the south of France. 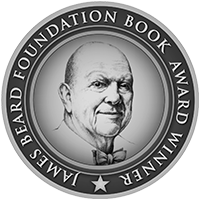 I could see whipped chèvre, dark grapes, bacon, honey, thyme – and figs. So here was the second recipe in urgent need of this fruit. I went on a hunt and finally spotted them at my trusted organic market, fresh from Israel, dark as the night, soft skinned and ripe! I bought a huge bunch, enough to lock myself in the kitchen for a whole day, to cook and bake with my delicious finds. The sandwich came first and it turned out as messy and luscious as I had imagined, you can find the recipe and interview here. 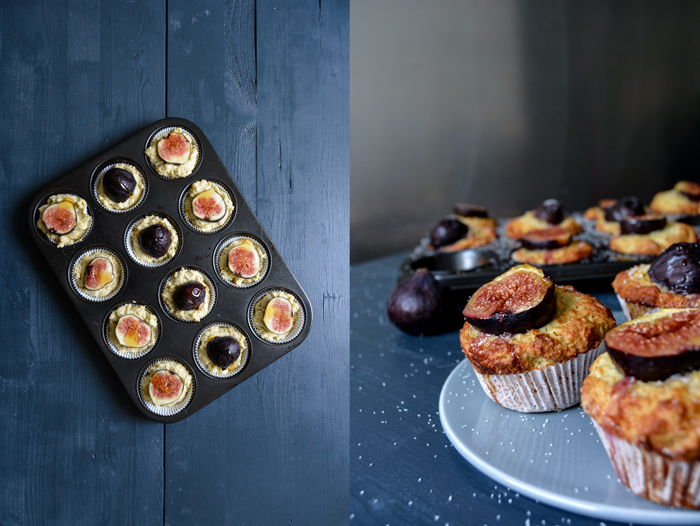 My muffins were my second project, equally satisfying – I had quite a successful day in the kitchen. To use my strawberry muffin recipe, with olive oil and ricotta, was part of the plan. I only added a little more sugar to the dough as the fruits lay on top, in the original recipe I stirred in the berries so they sweeten it with their natural juices. 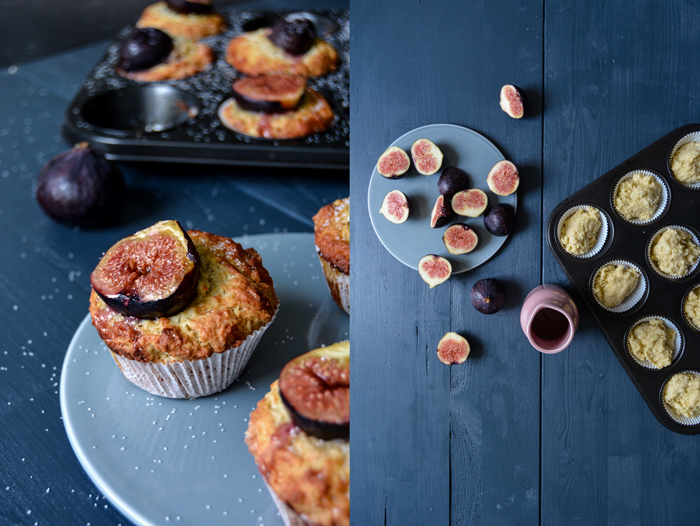 It’s still not a very cakey muffin, it’s more of a warm breakfast treat, to spread some butter on top and melt into the honey glazed figs. 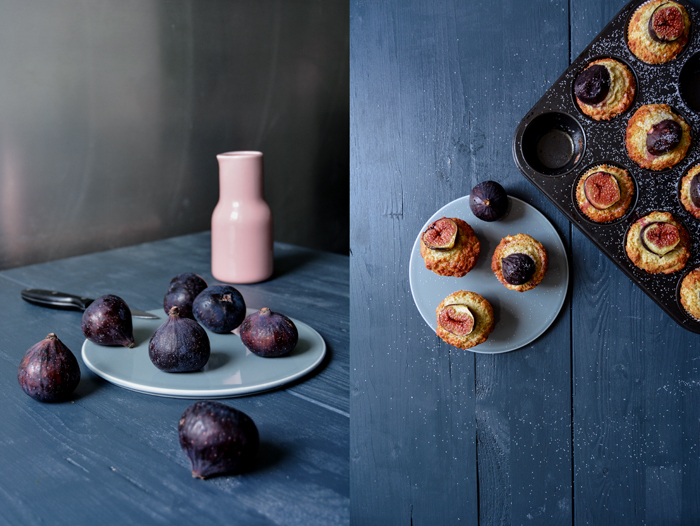 Somehow they almost taste like scones – or rather like a luxurious version of it. 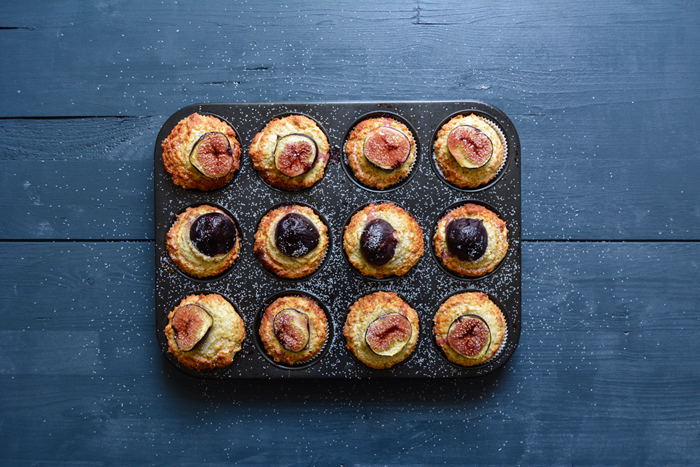 Set your oven to 190°C / 375°F (fan-assisted oven) and put paper baking cups into the 12 molds of the muffin tray. In a large bowl, combine the flour, sugar, baking powder, baking soda and salt. In a second bowl, mix the eggs, ricotta, olive oil and orange juice until light and fluffy and pour into the bowl with the dry mixture. Stir with a wooden spoon until you have a lumpy dough (with a bit of flour left here and there). Keep in mind, the more you mix it the more it will lose its light texture. 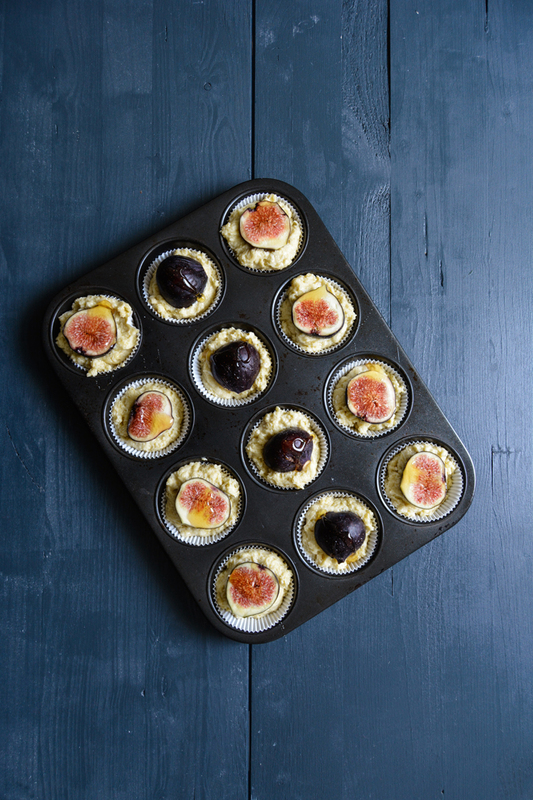 Fill the muffin tray with the dough and push the figs lightly into the batter (I prefer them cut side up). Drizzle a little honey (about 1/4 teaspoon) over each fruit and bake for about 18 minutes or until golden. 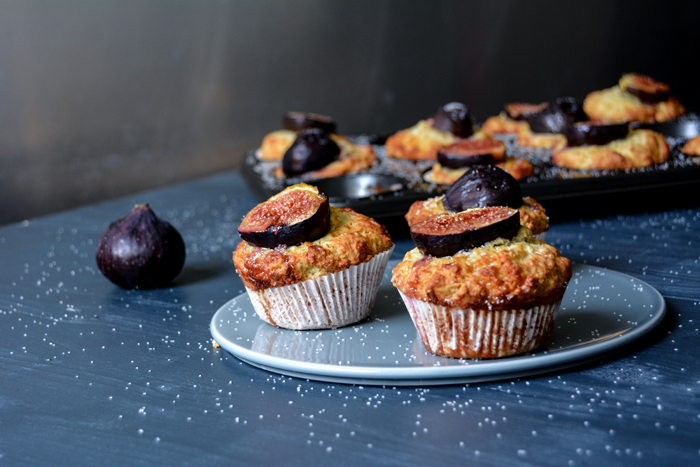 Sprinkle the muffins with a little more sugar or honey (optionally) and let them cool on a wire rack for a few minutes before you take them out of the tray. Serve warm with butter.